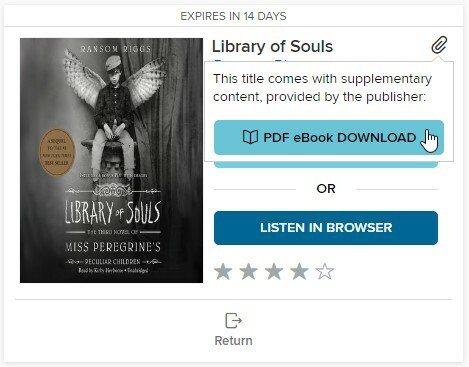 What is the supplementary content for audiobooks from OverDrive? This bonus content is usually an eBook in the PDF format. These eBooks cannot be read in the browser nor with the OverDrive app and must instead be downloaded to a computer and read using Adobe Digital Editions.